This article has been submitted by Zoho Recruit. If you own or manage a recruitment brand then keeping up momentum will no doubt be your focus, needing to translate such business missions throughout the company hierarchy. With your team of consultants being the ambassadors of your brand, effective employee management is essential, ensuring that your recruitment team’s performance is directly speaking to company objectives. While many will focus on hard sales, we believe a much more strategic approach needs to be taken in order to streamline procedures and ensure every cog of the company wheel is well oiled. Need help with your team? Allow our three tips to help. Some consultants rely on product knowledge while others define their cheeky chappy nature as their charm, meaning each consultant requires tailored support to reach their potential. Where many recruitment agencies will go in all guns blazing, rolling out new staffing procedures, we recommend a quick one-to-one with each consultant, identifying ways in which they can improve on performance. Whether it be further training in a certain area or access to social media platforms and applications, a simple conversation can give you all the information you need to catapult your team into the realms of success. The recruitment industry has evolved dramatically during the digital age, with social media platforms, CRMs and talent pooling software all cemented features in the modern recruitment agency. Due to this shift, the recruiter requires certain tech products and services to get the most out of their working day, with social media trumping that list. Over the past few years’ savvy professionals have adopted sites such as LinkedIn, Twitter, and Facebook to showcase their skills and background, now existing as a fruitful candidate source for recruiters. Where many consultants excel, it may be worth giving further access to LinkedIn, Twitter and the likes, placing them in control of both sourcing and converting leads. Here at Zoho Recruit we offer a selection of sales and marketing support, giving your sales team the perfect set of apps to help close more business deals in less time. 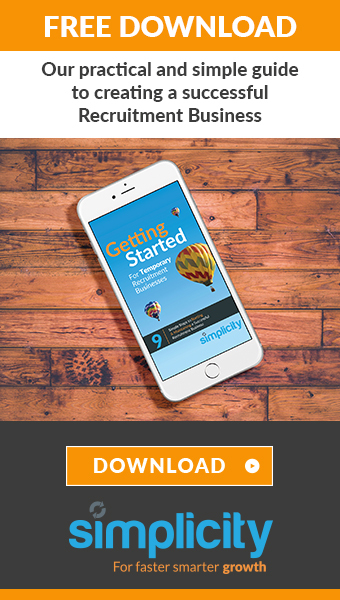 With just a small investment in such apps, you could give your team a new lease of life. Although candidate placements sit at the centre of the business, being where the money is made, it is important that your office is well integrated, not working with an ‘us and them’ culture. Too often do we see recruitment agencies not focus on their own HR or retention, having a knock-on effect on moral and thus, recruiter performance. Over the years, we have seen that blending sales, marketing, accounts and other departments can have a positive impact on new business. The tone of the office may present a different truth to hard facts, with the performance of your team needing to be measured through statistics. Here at Zoho Recruit we use analytics and reports for detailed metrics about your team’s performance and your customers’ life cycle. For more details on how we can help with the performance of your recruiters, get in touch today. Zoho Recruit, a recruitment management software caters to multiple hurdles faced by both in-house recruiters and staffing agencies. Recruit helps you source, track and hire the best candidates, without any juggling required across different media. This smart applicant tracking system (ATS) is equipped with several easy resume extraction tools, workflow automation, advanced analytics, third party applications and more – all this at a really affordable price. Now, coordinate better with your team and provide a great candidate experience, every single time. 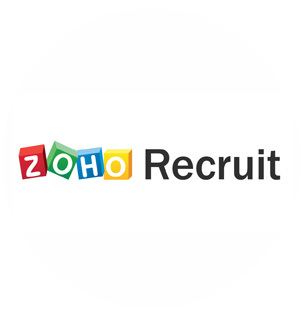 Zoho Recruit’s strengths are its simple, yet effective user interface, with maximum customization, integrations with popular job boards, a custom careers website, scope for formatting resume and more. Zoho Recruit also lets you streamline the recruitment process — right from sending offer letters, invoicing the client, or updating the candidate, touch base with every activity and ensure that nothing slips your way.